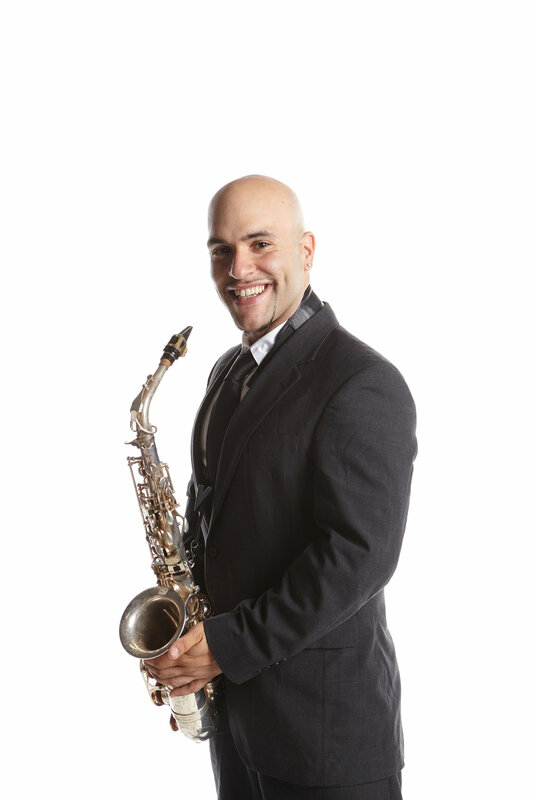 Contemporary, smooth, and eclectic – three words that just begin to describe Albert Rivera, “a modern Jazz Messenger” with one of the most exciting and sought-after saxophone sounds in today’s jazz scene. His albums, Re-Introduction, Inner Peace (Turnaround Records) and his latest Back At It (Truth Revolution Records) have been warmly embraced by critics, who call Albert and his two bandmates, Luques and Zaccai Curtis, “three young artists who are part of the next wave in this jazz ritual.” His new album, Live At The Litchfield Jazz Festival, is due out in the summer of 2018 on Truth Revolution Records. As a performer, he has appeared at New York venues like Zinc Bar, Smalls Jazz Club, Cleopatra’s Needle, Blue Note, Nuyorican Poets Cafe and countless others. He appears often throughout North America with many appearances throughout the Northeast including Connecticut, Baltimore, Philadelphia and Washington DC. His collaborators have included Don Braden, Jimmy Greene, Claudio Roditi, Avery Sharpe, Rachel Z, and the great legendary pianist Junior Mance. At the Litchfield Jazz Camp, he has appeared with his own group and jazz stars like Matt Wilson, Paul Bollenback and Dave Stryker. Rivera’s musical journey has led him to a rewarding career as an educator. At Litchfield he plays a pivotal role as Director of Operations at Litchfield Jazz Camp and as a trusted advisor to Litchfield Jazz Festival’s Artistic Director. Together they choose the star-studded camp faculty and collaborate on festival artistic choices. He is long-time artist/composer/band director in residence for a large middle school project each year, Project Poetry Live, run by Litchfield Performing Arts and serving 800 to 1000 students annually. He created a program for the Miami Arts Charter School (Miami, FL) to help children continue to learn about the jazz language. He is often a guest artist, lecturer, and clinician in various programs nationally and internationally.